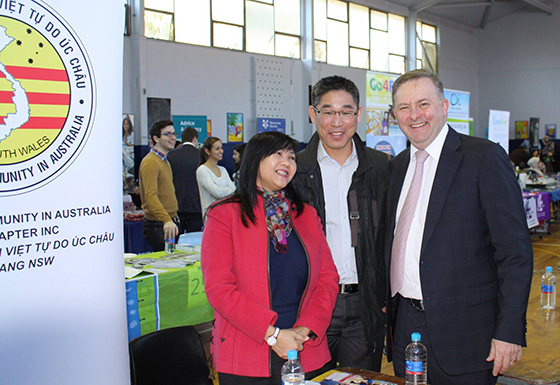 Today I had the pleasure of opening the Canterbury Boys High School Community and Government Agency Expo. This event brought together not only the students, their parents and teachers of Canterbury Boys, but also many of the local organisations who do such terrific work in the Inner West. The Inner West is renowned for its vibrant and diverse communities and Canterbury Boys High School is a positive reflection of this. I would also like to recognise Canterbury Boys High School Principal, David Hill, and his team for organising today’s event and also for the dedication they show each day in teaching and supporting our young people. Through working together we all play a role in shaping our community. It is fantastic to see just how engaged students at Canterbury Boys are with the local organisations that support them and many others across the Inner West.